Today I'm bringing you a super-quick and easy recipe for bakers of any skill level. The humble scone. Truly one of my favourite homebaked treats, and one that I enjoy playing with ... plain, with fruit, with cheese, with citrus flavours, with feta and olives...the possibilities are endless, and the end result far superior to anything you might find of the shelves of a supermarket. 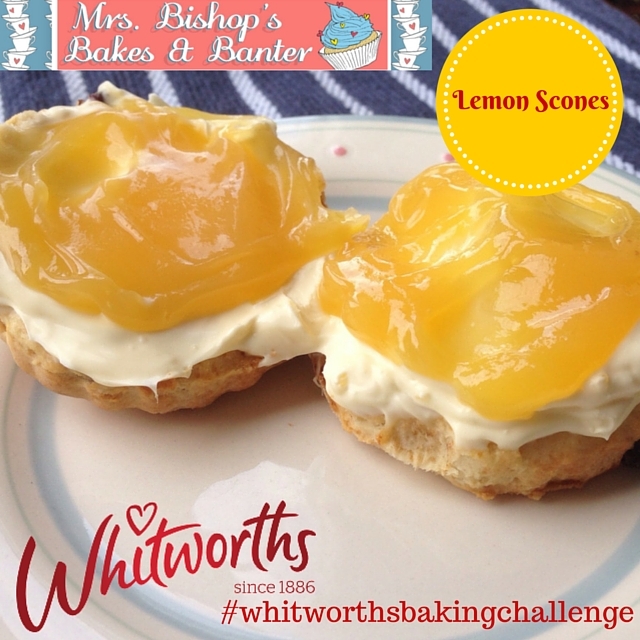 I made these lemon varieties as part of the #whitworthsbakingchallenge and shared them with my extended family at a gathering a few weeks ago - they were gratefully devoured by all, and the lemony flavours gave the whole eat a super-summery feel! These scones are simply flavoured with finely grated lemon rind and juicy plump Whitworths sultanas, I served them with generous dollops of both clotted cream (naturally!!) and lemon curd (homemade if you're feeling über-creative in the kitchen). 1. Preheat your oven to 200℃/Fan 180℃/Gas Mark 6 then lightly grease a large baking sheet. 2. Mix the flour, baking powder, lemon peel and salt in a bowl and then rub in the butter with your fingertips until the mixture looks like fine breadcrumbs. 3. Stir in the sultanas, sugar, egg and milk to form a soft dough, handling as little as possible to keep the scones light. 4. Roll the dough out on a lightly floured surface until 1.5cm thick, then fold half over the top of itself (this gives a nice natural break to cut them open once baked), then flatten slightly using the palm of your hand. 5. Cut into either 12 large or 24 mini scones, using a round cutter, re-rolling as required. 6. Bake in the centre of the oven for 10-15 minutes until risen and golden, then transfer to a wire rack to cool completely. 7. 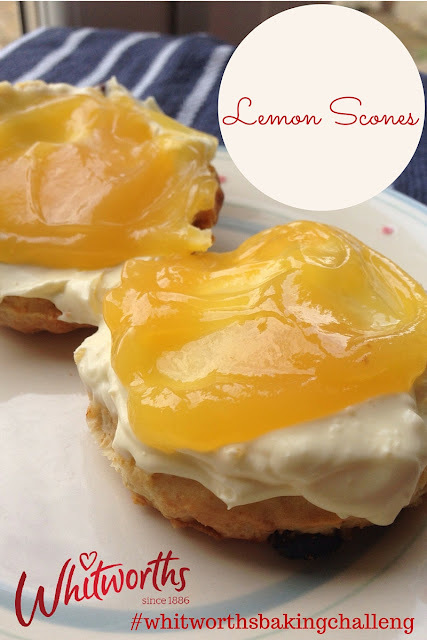 Once cooled split and fill the scones with lemon curd and clotted cream. Serve and enjoy! I whole heartedly recommend giving homemade scones a try if you've never made them before - such an indulgent afternoon treat - and slightly stale scones also make the best bread and butter style pudding (that is if you have any left over!). Happy baking my blog reading beauties and hope you all enjoy this week's Great British Bake Off which is based on all things pastry! Yum yum! I can't wait! OMG looks so so good. I did them with cut up banana and dulce de leche once for banoffee style scones. Uber sweet! Think the tartness of the lemon would really work!